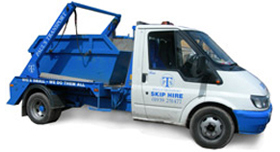 Wondering what it takes to order one of our skips? We have a wide variety of skips available for hire, if you would like any more information then please take a look at some of the most common questions that we get asked down below. Will I require a permit for my skip? Don’t worry! When you initially order your skip, we will go through all of the details with you, including whether or not you will require a permit. However, if you do need a one then it can take up to 5 days to arrange with Shropshire Council, so please do allow for this before making your enquiry. How quickly after ordering will I receive my skip? 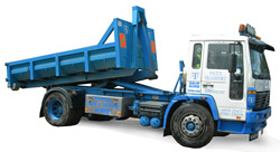 Depending on availability, we can usually deliver a skip within 4 hours of the initial enquiry being made. However, if you need a skip for the weekend we would recommend hiring your skip a few days in advance to avoid disappointment. When will my skip be collected after it is full? When we deliver your skip, you can arrange a pickup time that will suit your schedule – if not, then you are free to let us know at a later date when is a suitable time for collection. We do ask for 24 hours’ notice for skip collection as we will need to arrange to dispose of your waste correctly. For any more information, or to speak to one of our friendly team then please give us a call today. 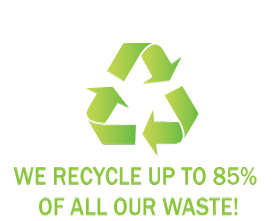 We will provide you with your free, no obligation quote to allow you to make an informed decision about hiring your skip.